On Jan. 8, 2019, Pryor Police Department requested OSBI investigate the homicide of Sandra Blackwell, 73, of Pryor. She was found deceased inside her home. Her grandson, Frankie Blackwell II, 35, was identified as a suspect. 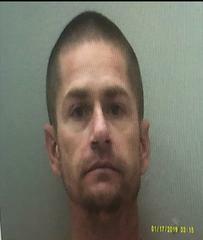 Frankie Blackwell was arrested on unrelated warrants and held in the Craig County Jail. Today, he was arrested and charged with Murder in the First Degree for the homicide of his grandmother. Frankie Blackwell is being held without bond and is being transferred to the Mayes County Jail.